Passionate, romantic, inspiring, addictive, elegant… This is tango and chances are, you’ll fall in love with it. Why? Because tango is so much more than just a dance: beyond the steps, it is a culture, a music genre, a way of life, a heart to heart experience. To learn to dance, discover tango’s fascinating heritage (and make new friends along the way), join us now. PS: Watch out – tango is our life and apparently our passion is contagious. All group classes are drop in. No partner and no experience needed. You can join the curriculum anytime. With us, you know where you are going: we have a yearly plan and each class follows a well-defined structure. 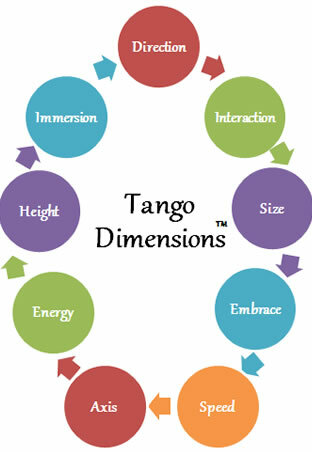 This is a unique methodology developed through years of teaching that our tango students will only find at Tanguito. 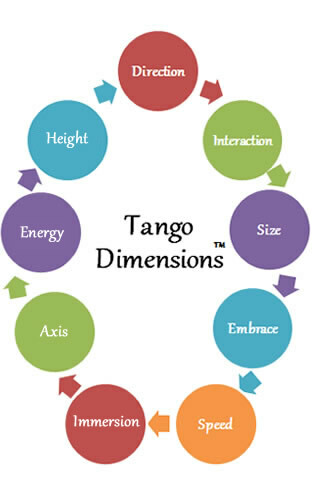 The year at Tanguito – We organise our academic year around Tango Dimensions™, a framework we developed to make concepts easy to understand and help you find your own style of dancing. You can join our classes at any time, as we cover fundamental technique in every class. To develop a strong understanding of all Dimensions, we recommend you attend classes regularly. Explore turns and changes of directions. How to lead them, how to make them match the music. Vary the size of your moves to interpret the music. Build a comfortable, flexible embrace and enhance the connection with your partner. Match the speed of your moves to the music for more playfulness. Up your milonga creds by mastering floorcraft tricks and steps from old school milongueros. From demure to passionate, use different energies to add another layer of expression to your dancing. Play with changes of height to add more depth to your dancing. August: school trip to Buenos Aires. To check this month’s detailed schedule, have a look at our “news” page. Please note we might tweak the schedule based on student progression. A diverse repertoire of steps is the key to self expression. It’s about knowing what moves you can do. Executing steps with precision and fluidity is what sets good dancers apart. Understand how to do moves. Last, and most important, the music is what inspires movement. 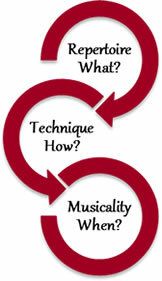 Musicality is about when to do moves. Your journey with us – Learning tango is not only about tango classes. Supporting you every step of the way (literally!) is the best approach for you to polish your tango self and progress quickly. You can also review your progress with regular assessments. Private tuition: Ease your way into tango with a private class (or two!) Our classes: Join our weekly beginner, improver and intermediate group classes. Private tuition is available every day. During our classes, we regularly suggest exercises and homework, for you to improve even faster. Milonga: Our group classes are followed by a milonga (social dancing), the perfect chance to give new steps a spin, perfect old ones and make friends. Class videos are available on our Youtube channel. Don’t fret if you need a refresher! Feedback loop: To get personalised feedback sign up for a one-to-one session – they are free if you attend at least 10 classes. Self-assessment cards are also available to all for free. We have 4 levels: beginners, improvers, intermediates, advanced. Click on the link to check what to expect to learn at each level. 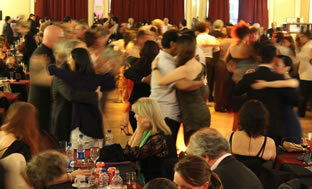 Every year, we organise two important tango events. In May, we bring Buenos Aires to you with our CHE London! Tango festival and in August, we take you to Buenos Aires for a wonderful tango holidays. Unmissable. 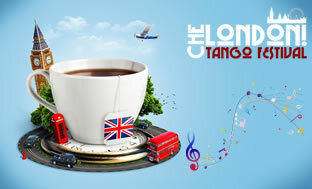 The best maestros come to London for 4 days of workshops and milongas. Get your tango shoes ready! You can sign up to our facebook group to get the latest updates about the festival. Join us for the trip of a lifetime to the capital of tango for 2 weeks of intense tango-ing. Have a look at the whole programme. With our comprehensive approach, you will quickly become great to dance with and great to watch. Because tango is a dance that is both experienced from the inside and the outside. Did you know? In 2009, Argentine tango was awarded by Unesco the status of Intangible Cultural Heritage of Humanity. 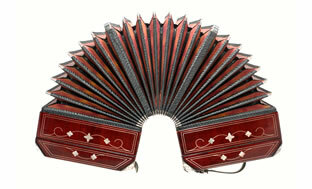 Want to get dance tips or discover more about tango music and culture? Head to our blog. 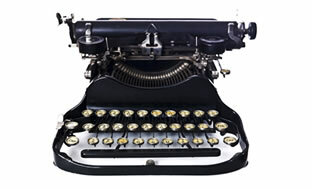 It contains over 500 articles organised by theme and updated weekly and is the only resource of its kind in the UK. Fact: Learning about tango music will make your dancing much much better. Every month, we pick a tango orchestra, listen to it in class, translate songs, recommend CDs… You’ll become a tango mogul in no time!